Point: What’s with the Dearth of Enterprise Apps? 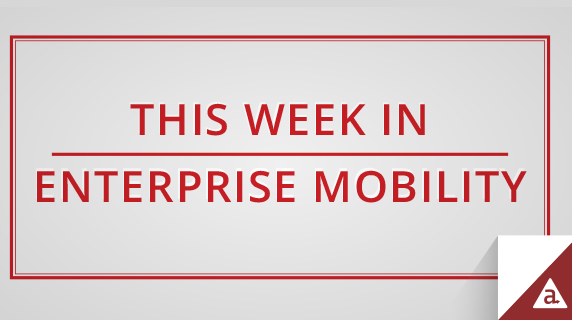 This week Mobile Enterprise ran an opinion piece from 451 Research’s Chris Marsh asking where all the enterprise apps are. It’s a valid question. There’s no lack of mobile devices in enterprises today, but mobile apps with enterprise capabilities have been slow to appear. Most companies have few if any dedicated mobile apps for their employees, in spite of the productivity and efficiency gains that could be realized by supporting the devices and ways of working that employees today prefer. Those companies that have produced apps are sticking to the basics: email, CRM, database access. But as Chris Marsh rightly points out in this article, there are huge opportunities here for companies that recognize data is one of the most valuable assets in any organization, and mobile is simply a way to put data to use. He also points out the need for companies to move to an agile software lifecycle that caters to specifically to mobile (see our recommendations for a mobile SDLC here), as well as adopting a more flexible backend infrastructure. Businesses of all stripes would do well to listen to what Marsh has to say. And speaking of enterprise mobile apps, did you know that only 15 percent of indie mobile developers are targeting this audience? This at a moment when employees are consistently demanding better user experiences in the tools they use for work. While developers may believe the consumer market offers quicker path to monetization, over the long run the enterprise market offers a much larger opportunity. In an eWeek slideshow, Chris Preimesberger brings industry research to life, illuminating this rapidly expanding area. In 2013, about 900,000 of the world’s 2.3 million mobile developers were primarily targeting the business world. We can expect to see those numbers swell if the market follows its projection to double from $31 billion to $61 billion in 2018. With Apple Pay set to launch this month, we’re already seeing companies striving to be the first to provide this functionality to their customers. The Capital One Wallet is an example of an app that will rely on the features of Apple Pay while also offering customers helpful information like transaction details and rewards points balances in an intuitive and “surprisingly well-designed” consumer app. Among other benefits, the new app will make it easier for customers to spot and address fraudulent charges, and will allow users who connect their Capital One credit cards to Apple Pay to quickly visualize purchases made in this manner. They’re also incorporating security measures that mimic Android’s sign-in gestures rather than relying on vulnerable passwords (or TouchID, which doesn’t yet have enough reach to suffice). With Apple’s backing and financial players like Capital One climbing on board, mobile payments may indeed be ready to take off.